Whether you have been arrested for a crime, are under investigation for a crime, or have been subpoenaed to give evidence in connection with an investigation, it is important to have an experienced criminal defense attorney on your side to inform you of your options and to help protect your legal rights. At Green & Willstatter, our goal is to protect the rights of the accused person and avoid unjust conviction. Contact us today to speak with a skilled, White Plains criminal defense attorney. We also defend clients accused of both state and federal offenses relating to drug possession, manufacturing, cultivation, and trafficking of cocaine, crack cocaine, marijuana, methamphetamine, prescription drugs, heroin, ecstasy, or other controlled substances. Our Westchester County criminal defense attorneys have more than 60 years of combined experience defending the rights of individuals arrested and/or charged with a New York State or Federal criminal offense. We consider our law firm to be a criminal defendant’s best advocate, challenging criminal charges and making every argument possible, including bail arguments, to keep our clients out of jail.  As proud members of the National Association of Criminal Defense Lawyers, we pride ourselves on doing our very best to defend our clients.